The LFC Foundation are inviting children and young people with additional and complex needs to our 'Respect 4 All' Summer Activity Day. Respect 4 All is the LFC Foundation’s Inclusion project that provides free weekly multi sports and physical activity sessions for children and young people with complex and additional needs across Liverpool and Merseyside. 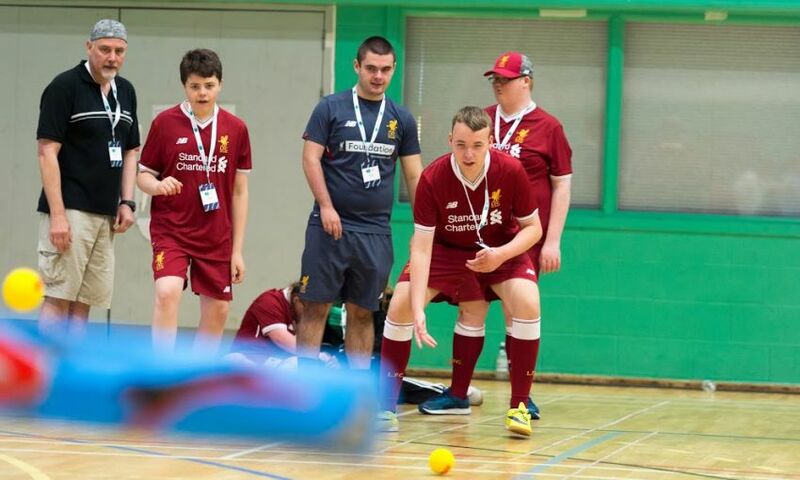 To celebrate our disability project, the LFC Foundation will be hosting a FREE day of activities that include; Football, Boccia, Goalball and so much more for attendees with additional needs. Siblings and families are also welcome to join in on the day! The 'Respect 4 All' Summer Activity Day is for people aged 5+ with complex and additional needs. Friday 31st August; 10am to 3pm. The Liverpool Way, Liverpool, L33 7ED. Accessible parking is available yet our spaces are LIMITED. Please get in touch in advance if this is a requirement. As the playing surface is indoor astro-turf, no studs are allowed. Lunch will not be provided, so please bring your own!